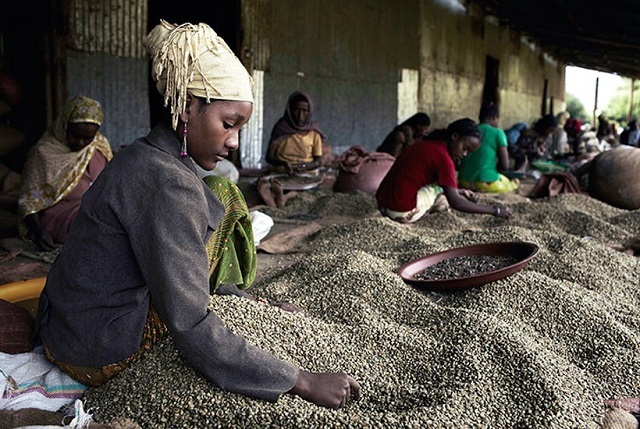 This tour explores the still widely unknown Western part of the country, where not only Ethiopia’s last rain forests are found but also the famous Coffee Arabica is said to have its origin. Only few travelers would expect such lush vegetation in Ethiopia. This tour may be perfectly combined with any other Ethiopia tour. 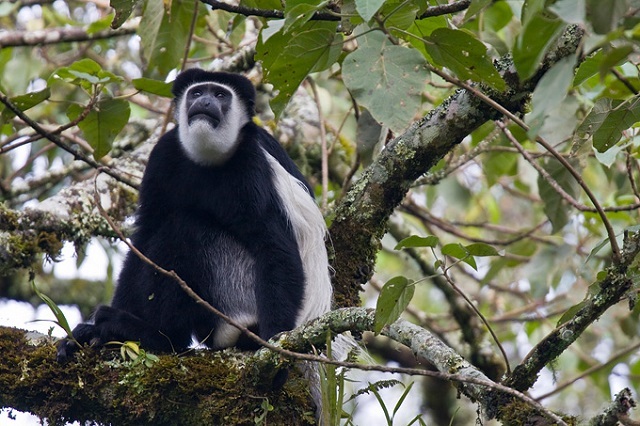 Rain forest of Kafa biosphere with rich flora and fauna, hot springs, stunning waterfalls and more. 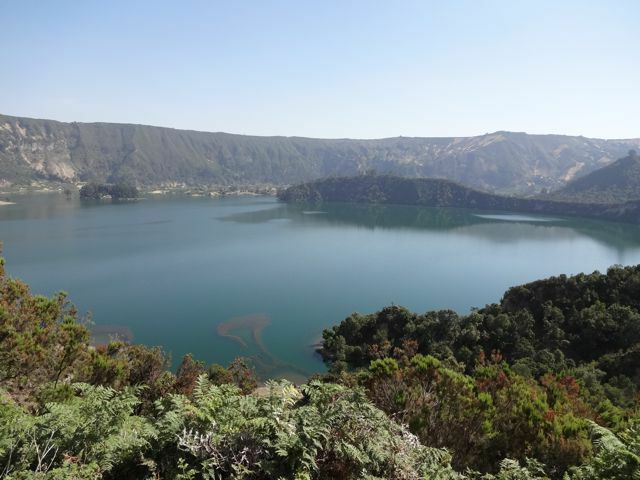 We start our journey from Addis Ababa west to Wolliso, from where we reach Wenchi crater lake located towards the North in less than 2 hours. In Wenchi we will take a pleasant walk (optionally also on horseback) through stunning nature. From the rim of the crater we descent into a beautiful valley abundant with rivers. We may also cross the lake in a traditional boat. In the late afternoon, we return to Wolliso where we spend the night. After breakfast, we continue westward via Jimma to Bonga. On the way, we will visit the palace of the former Kafa king Ras Abba Jifar II overlooking the town and the adjacent coffee forests. The palace is a relic of a glorious past when coffee trade gave the king wealth and power. The then economically strong region remained independent from the Ethiopian empire until 1930. After our visit in Jimma, we continue to Bonga (120 km). We will reach the small town of Bonga located in the heart of the Kafa region and surrounded by fantastic mountainous rain forest in the afternoon. Today we start with an excursion to the Alem Gonna wetland. An early morning visit not only pays off because of the many bird species and De Brazza monkeys, but also because of the mystical atmosphere created by the landscape shrouded in mist. We walk through the wetland during sunrise and enjoy a freshly prepared breakfast pick nick. 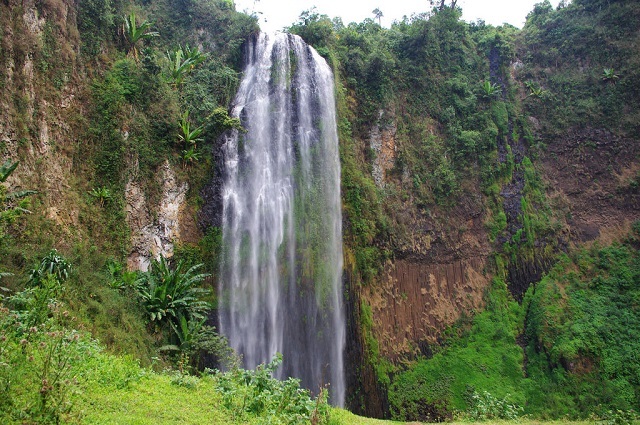 After a short stop in Bonga, we will take a pleasant walk to the Barta waterfall (approx. 1 h). The waterfall is over 70 m high surrounded by basalt walls in the middle of the rain forest. On our way back, we will stop at the house of Mirutse, a local bee-keeper producing his own organic forest honey. He will give us some interesting information on bee-keeping and local plants. 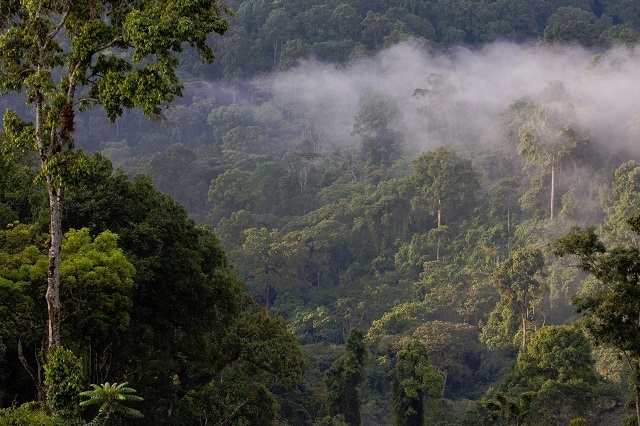 Today we explore some of the more elevated areas of the Kafa biosphere conservation area. The village of Boka lies at an altitude of approx. 3.000 m. Here bamboo grows and is used by the farmers for the construction and fencing of their houses. An unknown number of lions is said to live here in the nearby bamboo forests. We will stop at one of the neat bamboo villages and listen to the stories of a spiritual leader about the king of the animals and more. We drive back to Addis Ababa (approx. 8 hrs). In the evening, you will be invited for a traditional Ethiopian dinner and dance show at a renowned restaurant of Addis Ababa. Then you will be transferred to the airport for your departure.